Drew began working in a family business at age 16, and spent the next several years wearing various hats, learning the fundamentals of business. After transitioning to accounting at PricewaterhouseCoopers, Drew went on to manage some of the largest accounts for privately owned businesses in Cincinnati, where he took care of tax planning and compliance for his clients. His practical small business experience coupled with a track record of corporate level success make him an invaluable resource for business owners and executives. Over the last several years, Drew has helped over 50 business owners achieve their goals, and take their business to the next level. In 2013, his clients have achieved double and triple-digit growth in profitability, accomplished through improvements in sales, marketing, team training, systems development and strategic planning. 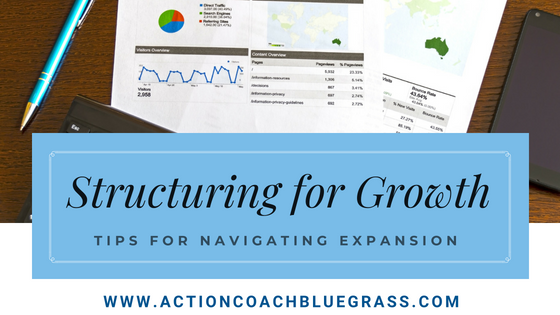 He helps business owners grow from an “owner wears all hats” approach to development of a results-driven and profitable team, allowing the business owner to focus on the areas that he or she enjoys. Drew is so confident in his ability to help eager business owners, that he will only offer to coach a business if he can guarantee results. But doesn’t pretend to know it all. As an ActionCOACH, Drew belongs to a network of over 1,000 business coaches in 56 countries. With this network of brain power, along with his M.B.A., Bachelor of Science degree in Accounting, and over 1,000 hours of training as a Certified Business Coach, Drew is skilled at breaking down complex issues into simple steps, and has the tools to help his clients succeed. He has been also honored by the University of Kentucky as an outstanding alumnus, and is a Certified Toastmaster. Emily O’Connor-Schwegman, DMD is Drew’s favorite dentist, and loving spouse. They welcomed their first child, Marc Aidan, in October 2010, and welcomed daughter Fiona in 2012 and son Tristan in 2015. As a family they are active in the community supporting various charities and volunteering their time. Drew serves on the board for the Northern Kentucky/Great Cincinnati UK Alumni Club , and also serves as the Treasurer for the Fort Thomas Lions Club. After just six months with an ActionCOACH, our sales revenue has increased by 20%. It continues to increase on average 20% per year.